Gift "My admiration". 【SLAVIC GIRLS (WOMEN)】, ukraine girls your brides, russian girl for marriage..
Every lady loves flowers and sweet signs of attention. Even a small gift can lift spirit and make her day wonderful! Show your tender care about the lady you admire with this lovely gift set. The present combines beautiful and tasty reminder of your feelings and will gladden her heart. 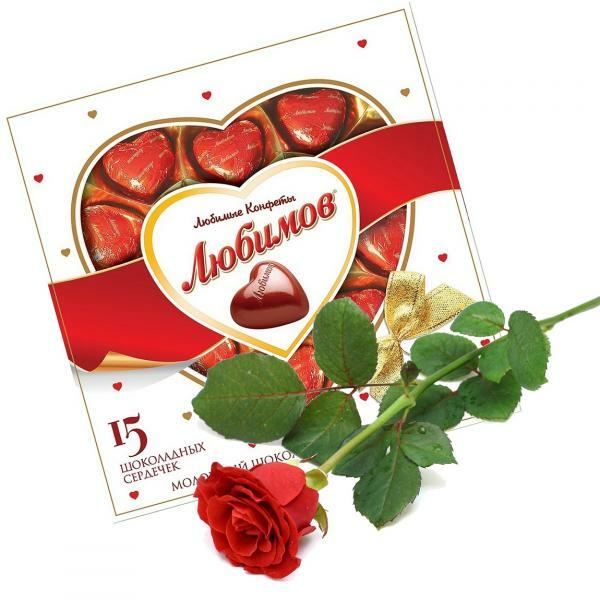 The gift consists of a box of heart-shaped chocolate sweets and a red rose.